Improving our world through the advancement of knowledge in medical and basic science research, conservation, community services and the arts. 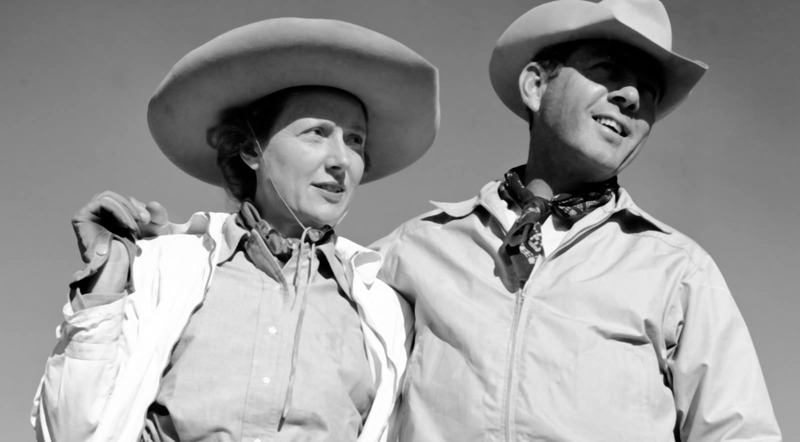 Helen C. and Robert J. Kleberg, Jr. spent their lives working on their family’s King Ranch in South Texas. Both were deeply committed to supporting and improving quality of life through community support, innovation and scientific research. Bob Kleberg had a lifelong interest in wildlife research and natural habitat stewardship, as well as genetics and veterinary medicine, and was a successful breeder of livestock. Not only did he create the Santa Gertrudis breed of cattle, but he also bred numerous champion quarter horses and thoroughbred racehorses including the Triple Crown winner Assault. In addition, he was a pioneer for wildlife conservation and provided the impetus and funding for agricultural and scientific research in various fields worldwide. Helen was an avid reader and had a deep interest in the arts and education. She ensured that children attending King Ranch schools received a strong education. As a photographer she documented life on the ranch as she worked alongside her husband. Together they established the Robert J. Kleberg, Jr. and Helen C. Kleberg Foundation in 1950 in Kingsville, Texas, to support their philanthropic interests. To date, over $309M in grants has been awarded with a major focus on medical and basic science research. Ongoing relationships with universities and medical schools have contributed to noteworthy successes such as the first successful bone marrow transplant from an unrelated donor, the Human Genome project, transgenesis, and personalized medicine. The Foundation continues to strive toward advancement of knowledge and community support, and takes pride in the vision of its founders and the many accomplishments of its grant recipients.